It was considerably cooler this morning, 38, and predictions are that it will be even colder the next 2 days. The low tonight is predicted to be 29. Guess the electric blanket will be nice tonight. We started the day with a team breakfast next door at the Badger Den, a small local cafe. It is across the street from the high school and the mascot for Elmore High School is the badger, thus the name. Interesting, the school is on “open campus” meaning the kids can leave campus and go to the Badger Den or the two gas stations up the street to eat. Today while we were there our waitress left to “take some food over to some of the kids.” The food was very good with everyone leaving thinking that breakfast might be the only meal they would need today. The lady who waited on us and the cook were both very nice and attentive to our needs. Would definitely go there again. After breakfast we left for Oklahoma City – the capital of Oklahoma. 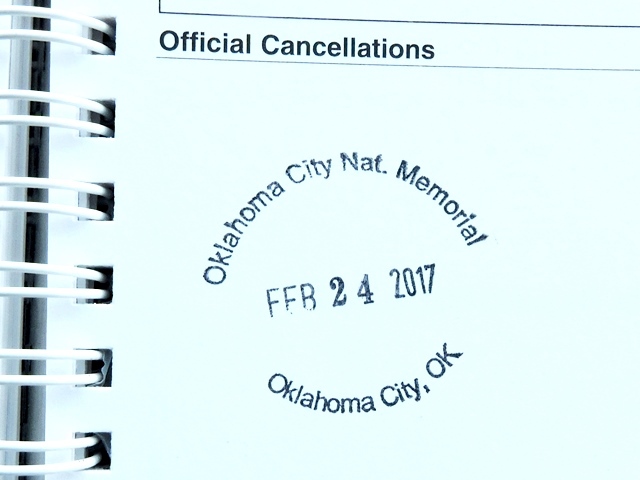 Our destination was the Oklahoma City National Memorial and Museum, 63 miles away. You first come to Norman where we went last week, then Moore where NOMADS have worked tornado rebuilds in the past and then OK City. It is really solid metro area from Norman on into the city. The skyline is nice, but it’s a city, with traffic. 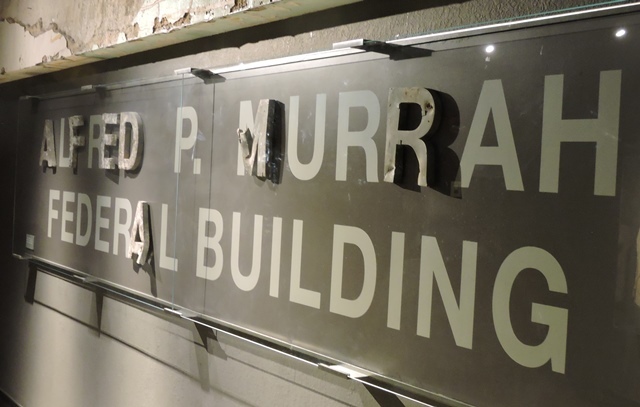 The Memorial is right downtown, where the Murrah Federal Building was located. The area around the memorial was nice and we certainly did not feel unsafe in the area. 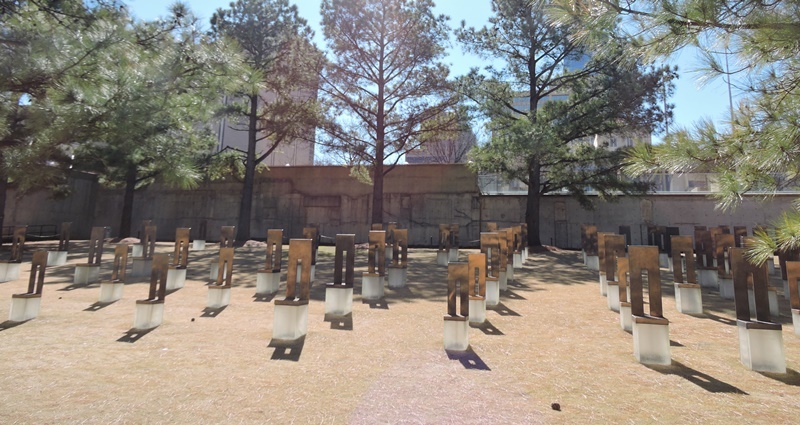 For those of you that might not remember, April 19, 1995 started as a beautiful spring day in Oklahoma City, but everything changed at 9:02am when Timothy McVeigh bombed the Murrah Federal Building killing 168 people including 19 children. We parked about a block away and just prior to entering the memorial area is the Jesus Wept Memorial. 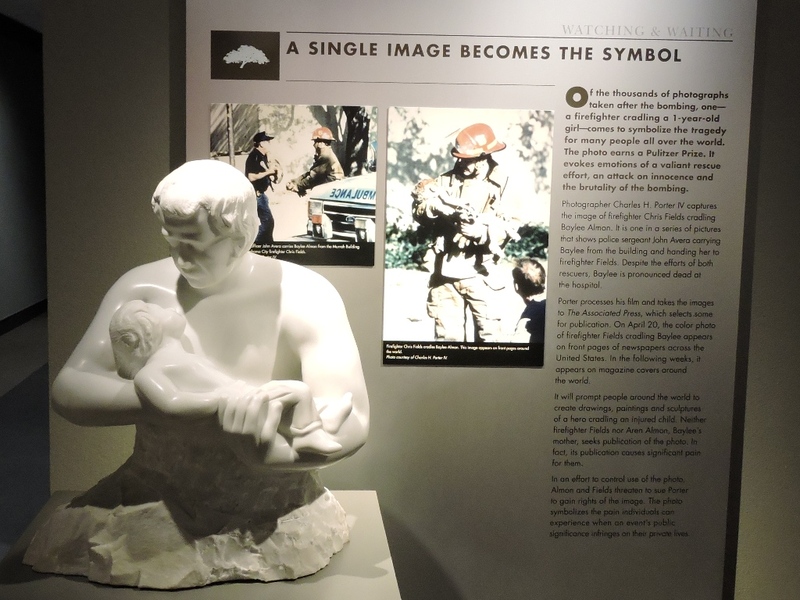 The Jesus Wept Memorial is on the grounds of the Saint Joseph Old Cathedral which was significantly damaged during the bombing. 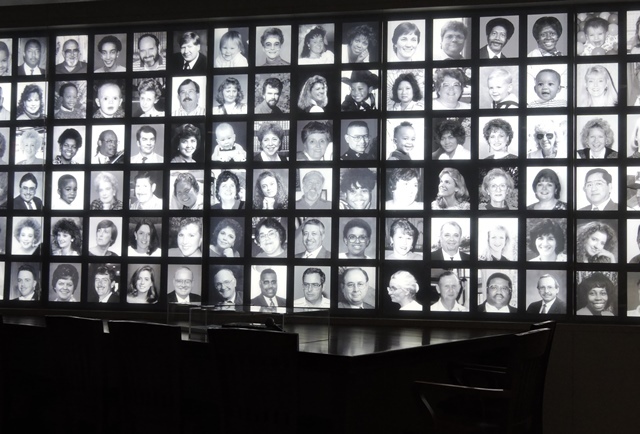 Jesus is depicted as turning away from the bombing and facing a black granite wall with 168 niches where prayer candles can be placed. 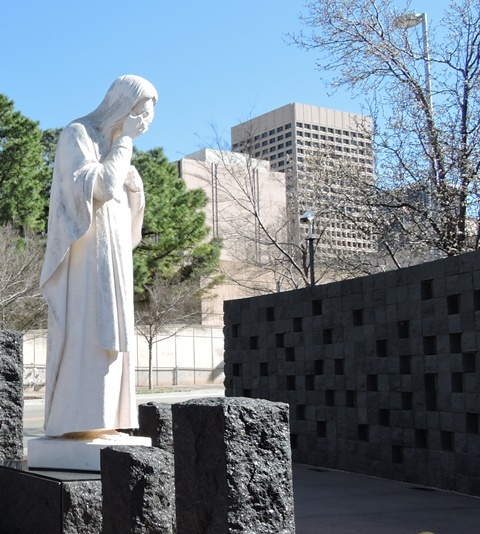 The National Memorial is an outside area on the grounds of the old Murrah Building. 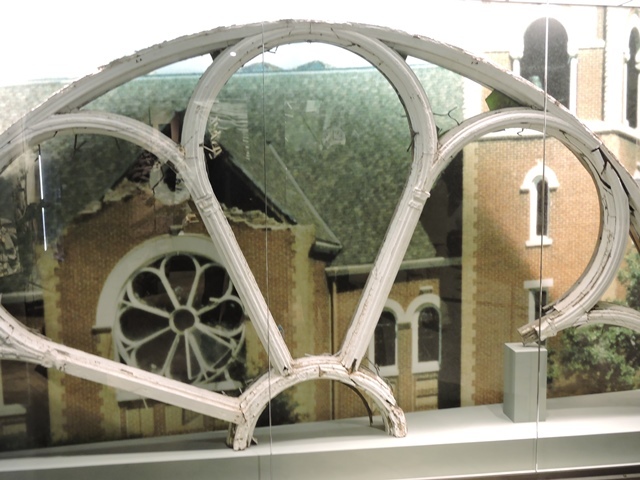 On the opposite end of the Memorial from the Catholic church is the First United Methodist Church which was also severely damaged in the blast. Immediately prior to walking into the Memorial area with all the beauty and grandeur, you see some old looking chain link fence. 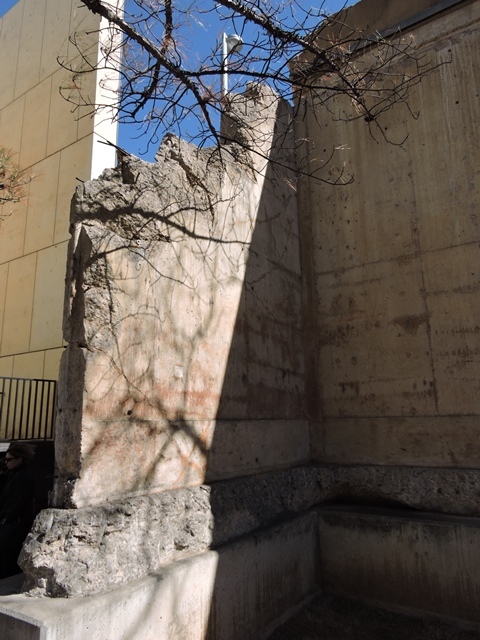 This is a portion of the fence that cordoned off the bomb site immediately after the blast. This is where from almost immediately after the bombing continuing to today that people have stuffed notes, prayers, flowers and other tokens of love and hope. 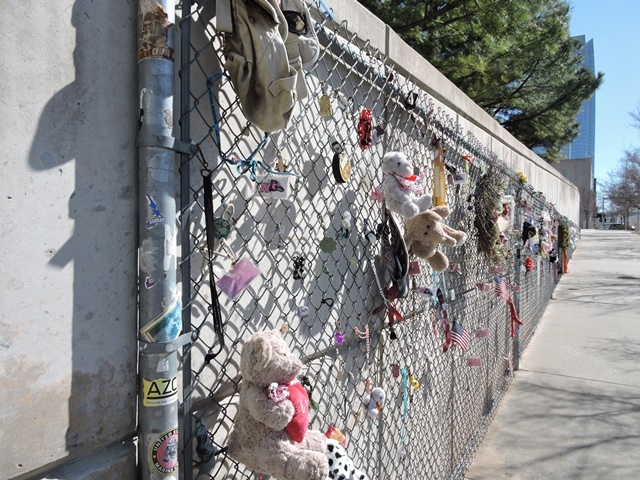 200 feet of the original fence has been left to give people the continued opportunity to leave tokens of remembrance and hope. 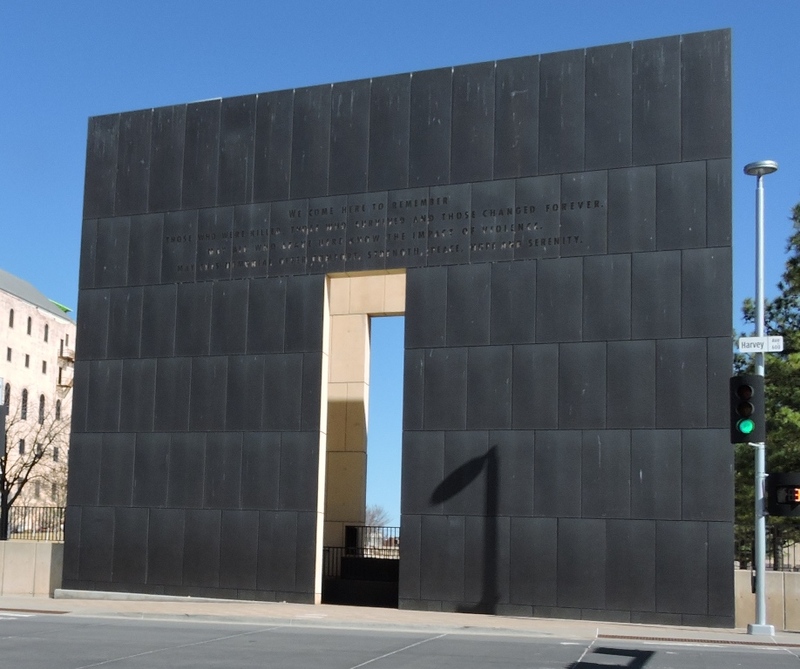 Entrance into the actual Memorial is thru the east or west gate – two huge stone slabs. The east gate represents 9:01 and the innocence of the city before the attack and the west gate represents 9:03 when the city and our country were forever changed and the hope that came from the horror in the days following the bombing. 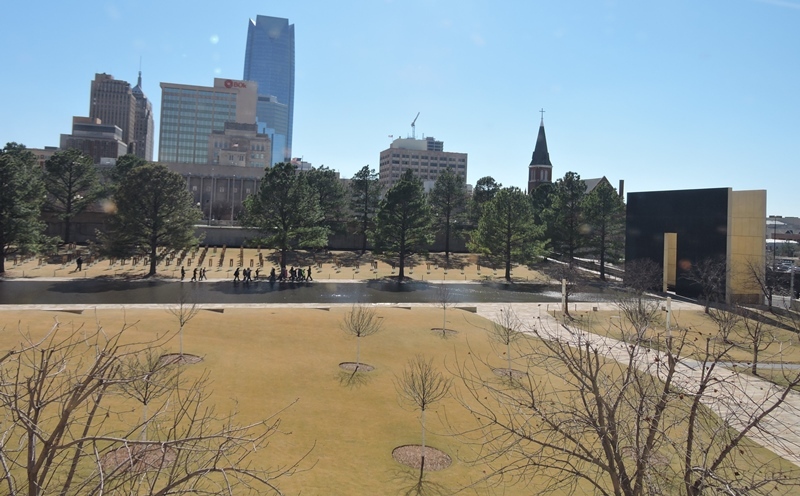 Between the two gates are the reflection pool that is where 5th Street was located, the Field of Empty Chairs where the Murrah Building was loacated, the Survivor Tree, Rescuers’ Orchard, Children’s Area and Survivor Wall. On the opposite side of the street was the Water Resources Building which is now the Museum. 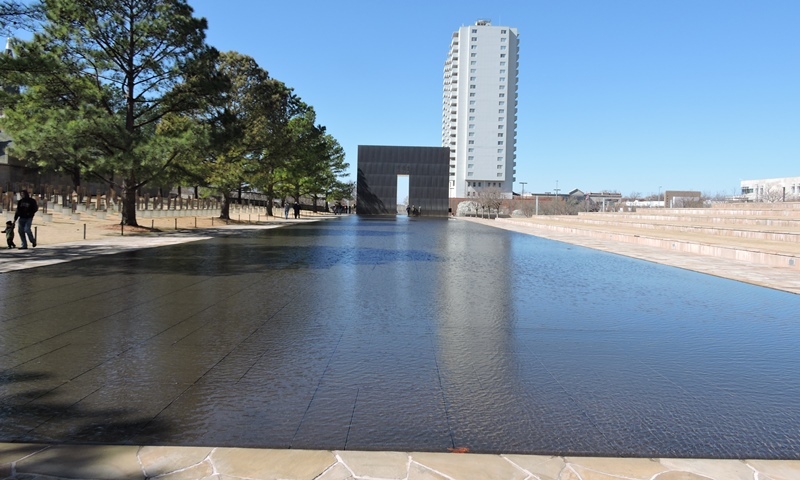 The Reflecting Pool occupies the space that was originally the street where the truck bomb exploded. 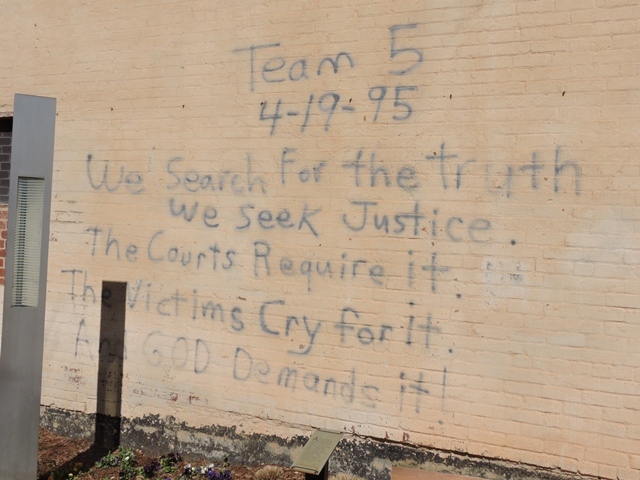 A Rescue Worker originally painted the message on the wall during search and recovery efforts in April of 1995. 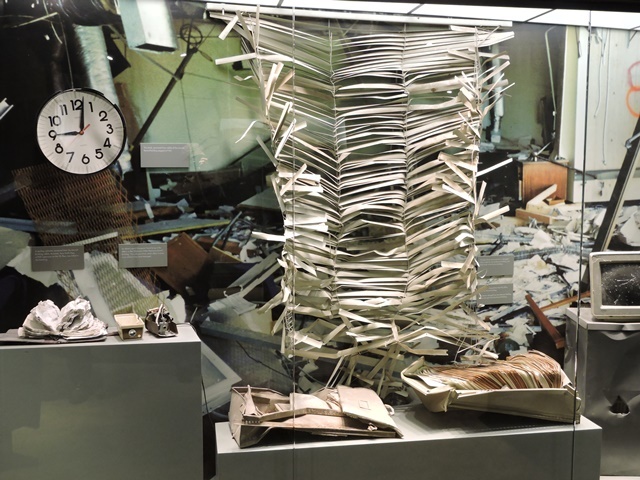 The building on which it is painted was a functioning office building when the bomb exploded across the street. 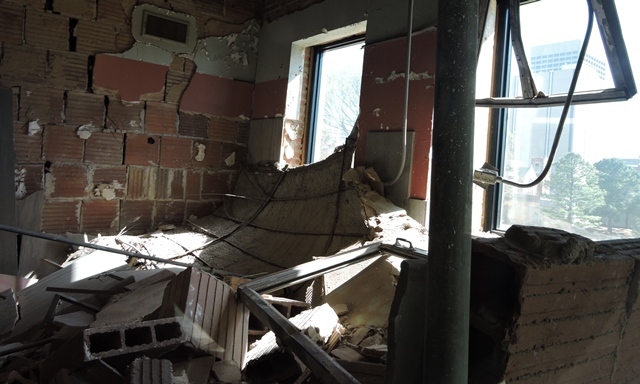 ceilings collapsed, walls fell in and glass shards flew throughout the building. Hundreds of people were injured, many critically. Fortunately, no one was killed inside the building. After spending some time wondering around the Memorial area we walked over to the Museum. On entering the Museum we were greeted by a very nice lady who oriented us to everything, gave us directions to the second floor – the start of our journey – and sold us our tickets. Senior admission is $12.00, regular $15.00. The Museum was excellently done. They did a $10 million update about 2 years ago and they have made excellent use of technology in the upgrade. 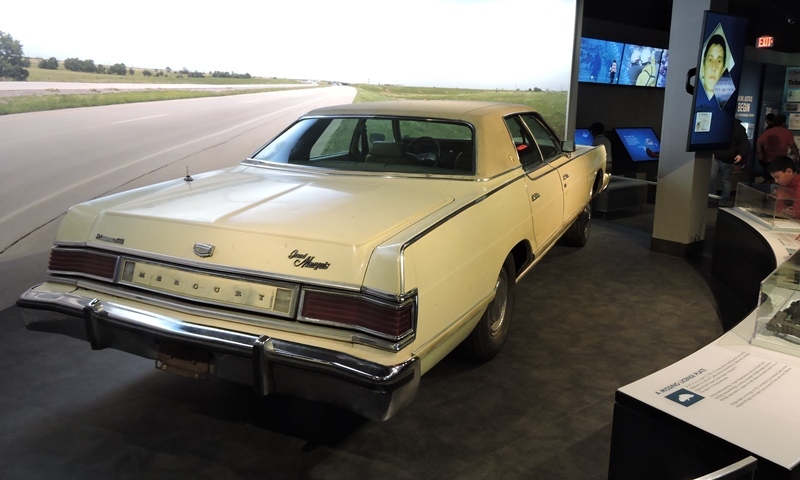 After McVeigh was executed the FBI donated many more evidence items to the Museum such as the car he was driving when he left Oklahoma City, the gun and knife he had on his person and many more which were incorporated into the displays. Gwen and Gary had been to the Museum previously and were very impressed with the changes today and were very glad they went back, so even if you have been before you might want to consider another visit. 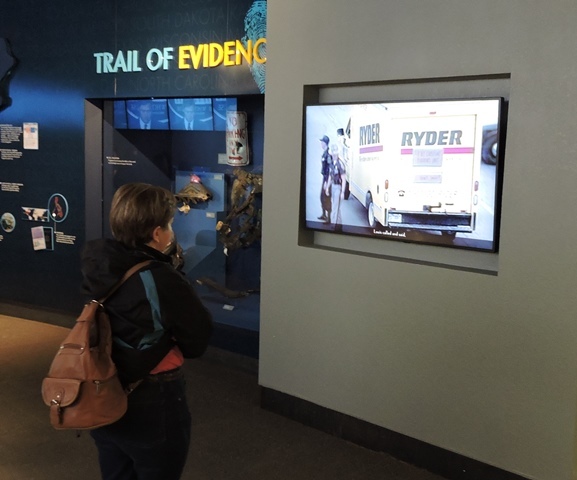 On entering the museum you view a short introductory video, then walk through an area with an interactive display table and other exhibits on the history of the site. 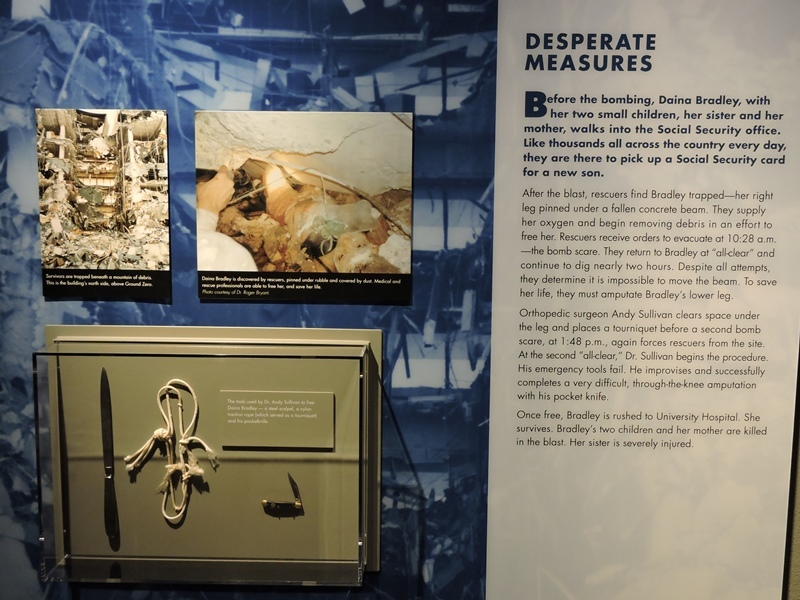 You then go in to a room with a table such as would have been in the Water Resources Board Meeting room and listen to a recording of a meeting that was going on at the time of the explosion. The recording started at 9:00 and 2 minutes into recording you hear the explosion and hear the beginning of the chaos that occurred as people tried to escape the building. 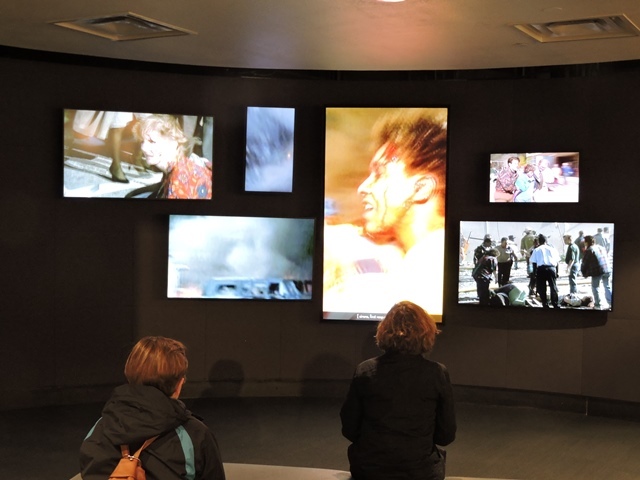 There are then videos and exhibits on the rescue and recovery efforts. Thousands of people were involved both on and off site. 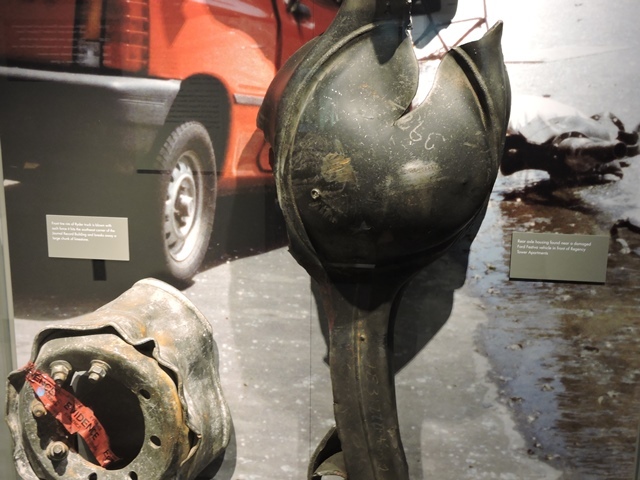 At the same time the criminal investigation was ongoing with many, many more people involved. 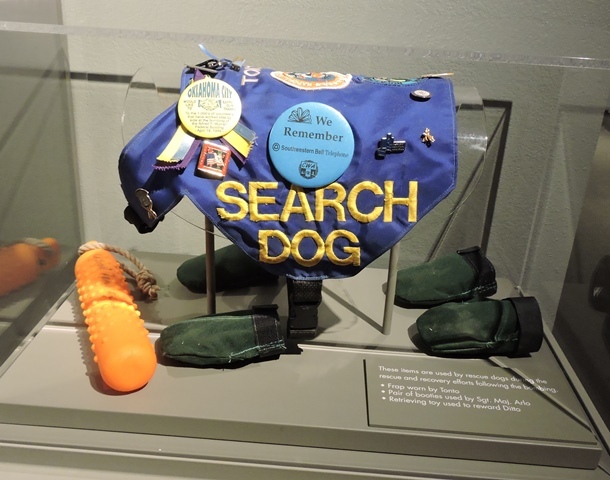 There are exhibits and videos on those efforts as well. There is a large viewing window where you can sit and look out over the entire memorial site and reflect. We are very glad we went to the Memorial and Museum today. It’s very moving, and very well done. 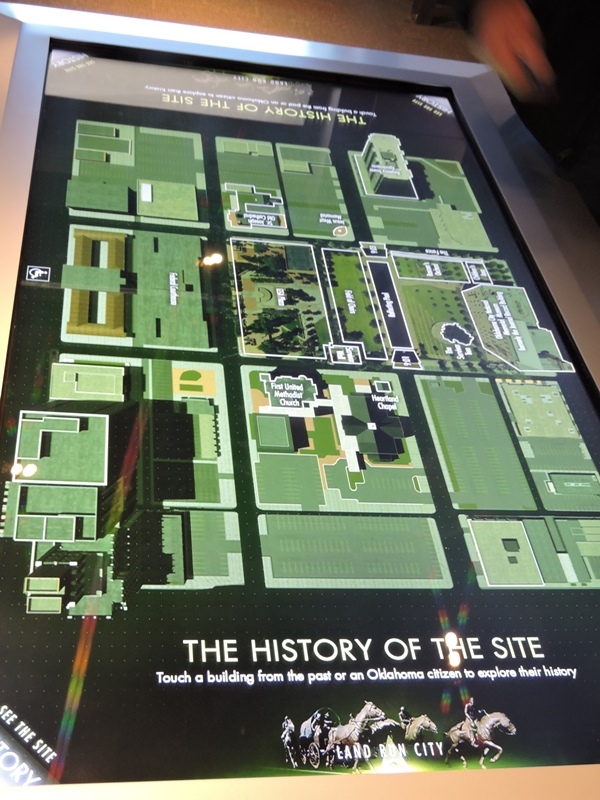 Interactive Display Table in History Mode. 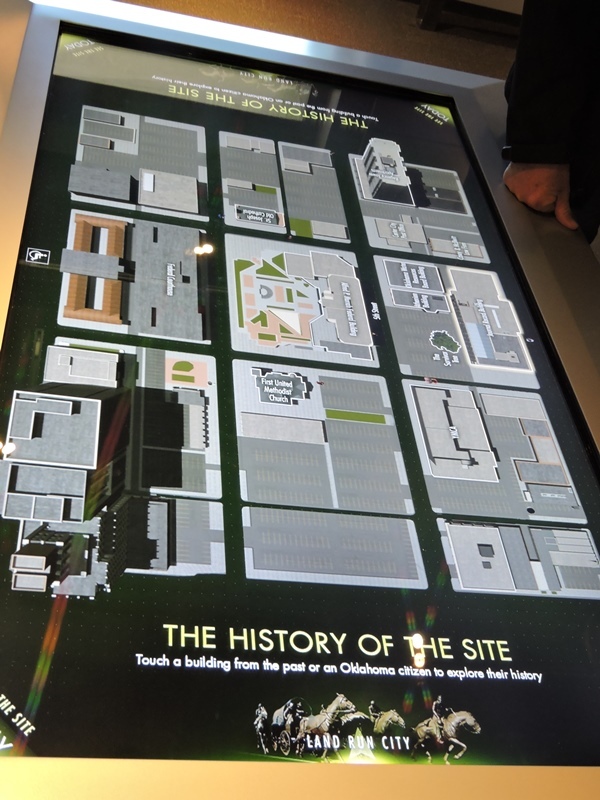 The table is touch sensitive and allows you to read about how buildings and people existed just prior to the explosion. The Interactive Table Display in “Today” mode. 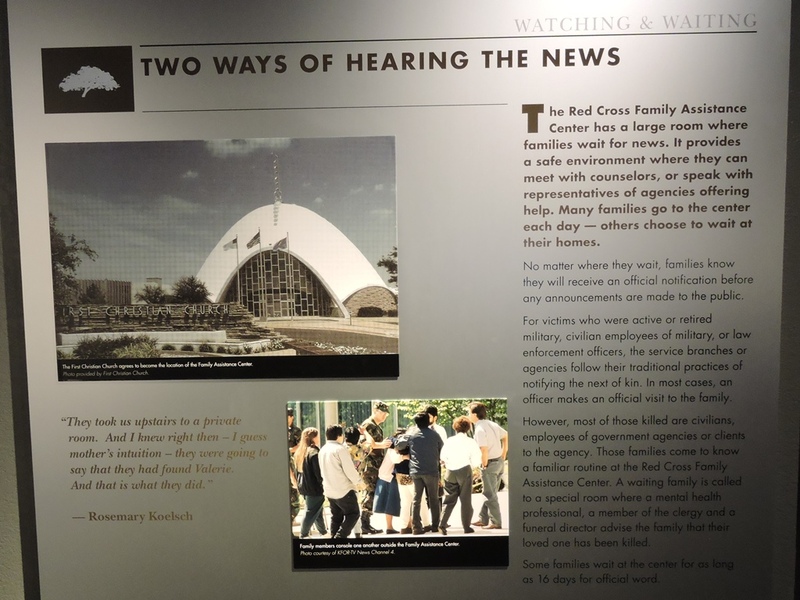 While you can’t say you had fun walking through such a tragic and unnecessary event we feel it is definitely meaningful, worthwhile and a highly recommend visit. 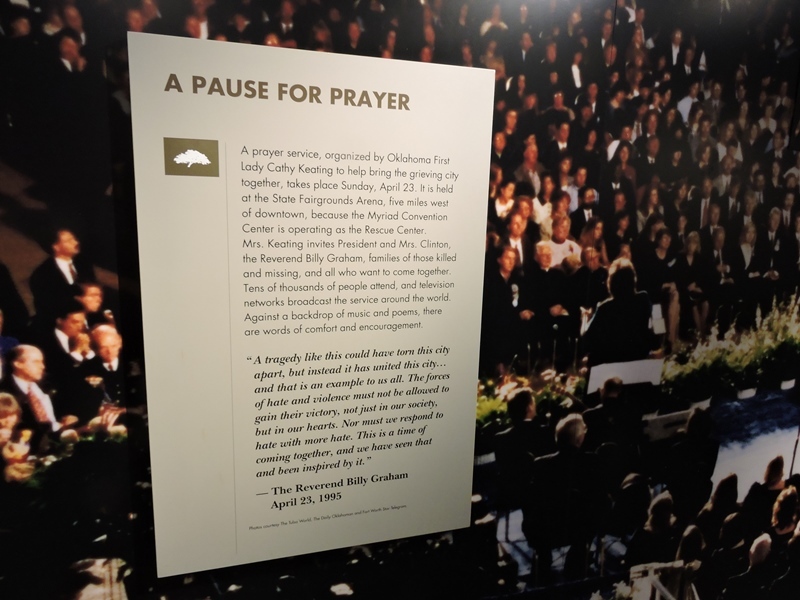 Having been involved in Fire and EMS and Emergency Management for many years, the efforts of the Oklahoma City Fire and Rescue, along with all the others from all over the country really touched us. After about 13 hours no other survivors were found. One of the teams flown in to assist spoke about how disappointing that was to their team. 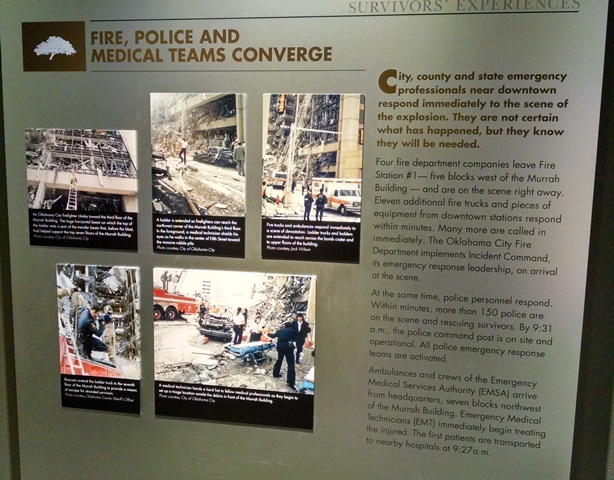 We know that those responders’ lives were forever changed and our prayers are with them today even after all the years. We must continue to remember the horrible moments in our history if we are to prevent their repetition. After leaving downtown, we went back to Jason’s Deli for lunch then to Home Depot to pick up some supplies for next week. After that it was time to go to the grocery store and make the drive home. It was a day well spent. We know this is a really long post but we promise tomorrow will be short.